I'm known to be quite particular when it comes to hotels. Some people will choose to save money in accommodation because 'they only sleep there' but I'm not one of them. I like to surround myself with nice things and having a well-designed, comfortable room to return to after a busy day exploring is important to me. Good design also inspires me and fantastic service can most definitely enhance a trip. When planning a holiday, as opposed to a short stay in a city hotel, I think a great hotel is even more important because you will certainly do more than sleep there. While there is always the option of spending your days out and about, there will be days where you'll want to stay put and the better the hotel, the more enjoyable the day. 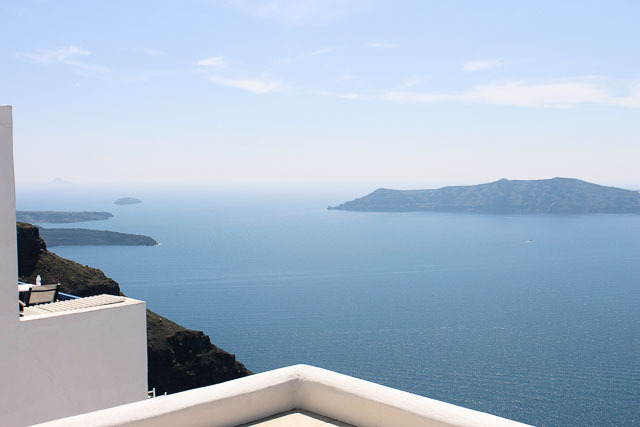 When it came to planning our stay in Santorini, I immediately thought back to Liz's posts about her trip last year. I remember her raving about the entire vacation and particularly, her hotel. I did my due diligence and researched further, pricing other options but after a few emails and the glowing review increasing, I knew we had to heed Liz's advice and book Absolute Bliss. 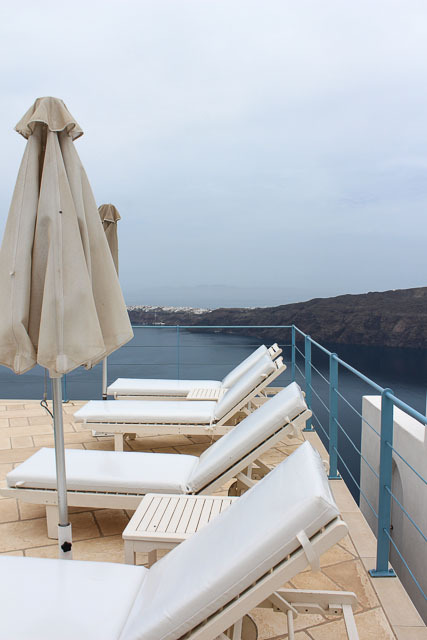 Located in Imerovigli, Absolute Bliss is found away from the crowds in Fira & Oia in it's own picturesque caldera setting. I loved how quiet and peaceful it was and it was perfect to return to after visiting the more popular towns on the island. The hotel itself is small - just over a dozen rooms - and personal. Guests are made to feel special and welcomed without any sort of pretentious undertones making a very comfortable stay. 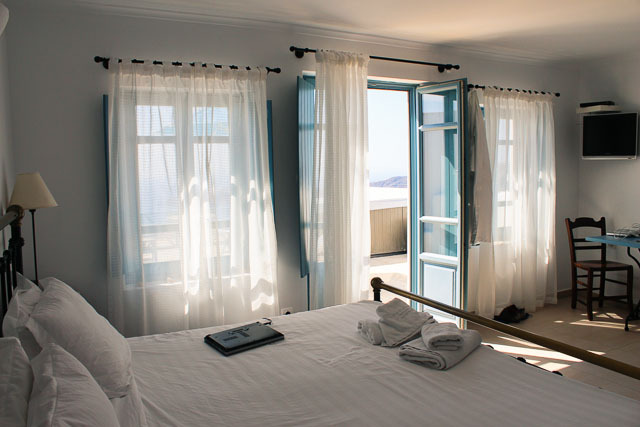 Our room was simple with white washed walls, crisp, white linens and great windows to take advantage of the gorgeous views. The terrace was the selling point. It was massive and where we spent the majority of our waking hours. A small table for breakfast, 2 sun loungers for midday reading and sunbathing and a hot tub for sunset viewing kept us occupied throughout the day. What set Absolute Bliss apart from an average holiday was by far the staff. The manager, Sofia, was seriously amazing. She had the taxi driver phone her ahead of time as we made our way from the airport to the hotel to make sure she was waiting at the door to our suite when we arrived. Upon hearing that we didn't have bags, she offered to bring a few clothes with her in the morning just in case I needed something and she left us with her mobile number directing us to call, even at 3 am, if we needed anything at all despite the reception being open 24 hours a day. 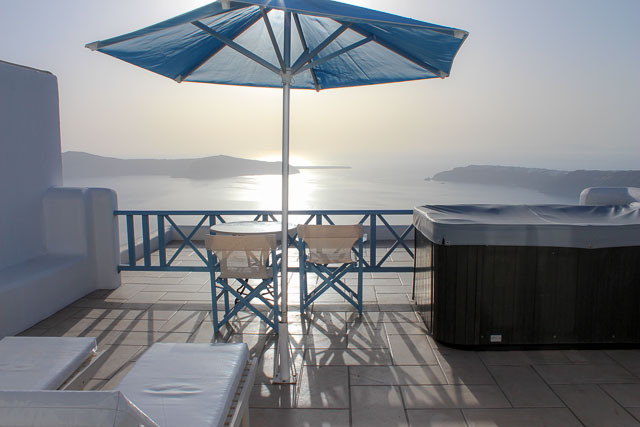 Every morning, our pre-ordered breakfast arrived on the dot, the housekeeping staff kept our room immaculate and 2 gentlemen climbed those steep stairs every day delivering food and drinks to us as we soaked up the sun on the terrace. We were practically forbidden to lift a finger. When the weather looked less pleasant one day, Sofia hired us a car and had it delivered within half an hour but while we waited, she drew out a map for us directing us to the best sites on the island. At every little stop, she'd jot down a few recommended restaurants (very much appreciated and resulted in not one single episode of hanger) and both Sofia and her assistant handled making dinner reservations for us whenever we requested it. Not once did we feel like we weren't being taken care of and everything was always done with a smile. Staying at Absolute Bliss completely reinforced why we love to stay in small, boutique hotels. The service is so personal, never having to use a room number or even our name and feeling genuinely well taken care of the entire stay. As we reluctantly prepared to depart, Sofia asked Joe how he enjoyed the local, craft beer they just began carrying at the hotel and before we knew it, she'd slipped to the back and brought out 1 litre of his favourite brew to take with us telling us she'd even arrange to ship it to us if we wanted. While the island itself is gorgeous no matter where you stay, Absolute Bliss most definitely contributed to this dreamy vacation. Oh Jay - this looks amazing. That terrace is enough to book a trip pronto. I've only made it as far as Naxos in Greece - but Santorini is definitely on the list. 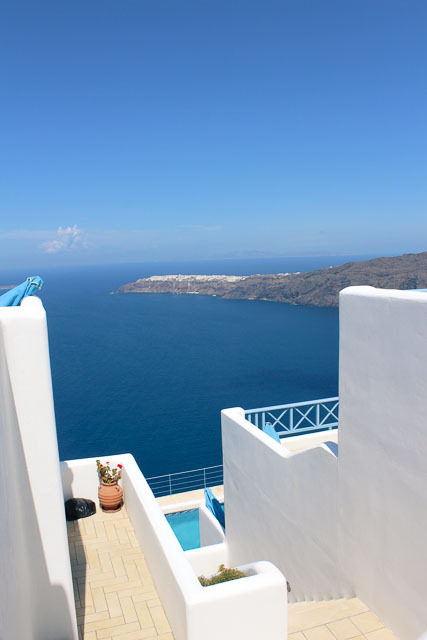 Wonderful post... my husband and I have been talking about a trip to Greece to a while and now I know where we'll be staying! this hotel looks absolutely amazing! i am convinced that smaller, boutique hotels are the way to go! i NEEEDDD to go there ... dear future bf/husband, you want a happy gf/wife?? This will make that happen. Wow that place is amazing! I would definitely stay there too! I know i said this before, but still really love the white against that blue water...so beautiful. 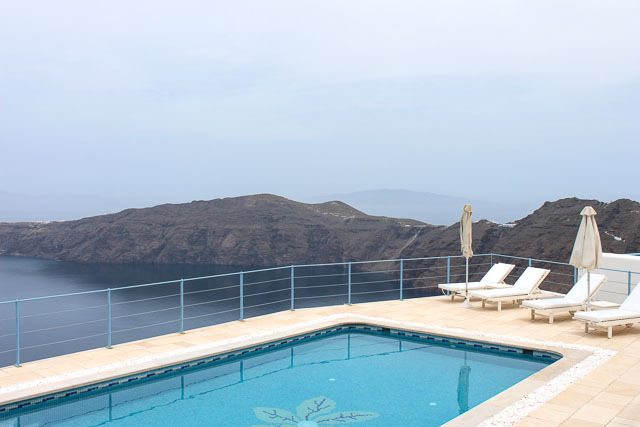 ahhhhhhh - I knew you would love Santorini...this hotel looks PERFECT!